"What gives our cooperation and friendship its deepest meaning are fundamental Western values, like freedom, human rights and respect for human dignity," Tusk said after the meeting. "The greatest task today is the consolidation of the whole free world around those values, and not just interests." Tusk hosted Trump in the European Council building under high security, with only a handful of journalists allowed and no press conference. Their meeting lasted more than the planned hour. It took place with European Commission president Jean-Claude Juncker. European Parliament president Antonio Tajani and the EU foreign service chief Federica Mogherini also joined at one point. It was Trump's first personal contact with the leaders of the EU institutions since he was elected last November. The meeting took place in a "friendly and constructive atmosphere," according to EU sources. 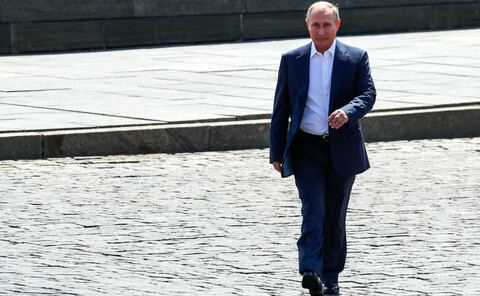 But it did not appear to bridge the gap between the EU and a US president who has expressed support for anti-EU political forces as well as sympathy for Russia. The EU and US leaders talked about foreign policy, security, climate change, trade and Brexit. "My feeling is that we agreed on many areas," Tusk said, but he admitted that "some issues remain open, like climate and trade". EU leaders, some of whom will also meet Trump at a G7 summit in Sicily on Friday and Saturday, had wanted to convince Trump to confirm US participation in the 2015 Paris Agreement to limit CO2 emissions and global warming. 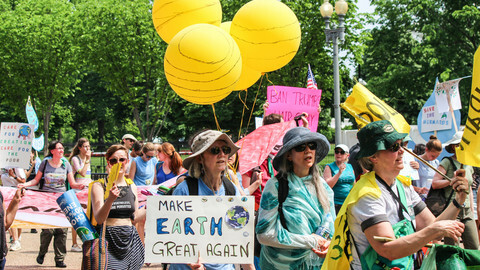 But US officials have warned that the US position on climate, which the Trump administration is reviewing, will be decided later down the line. 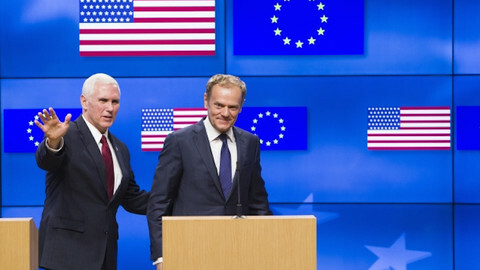 After the failure of negotiations on a EU-US trade deal and calls for more protectionism by the Trump administration, the EU side said on Thursday that the EU and US "can work together in multilateral forums and look into the potential of bilateral trade relations". 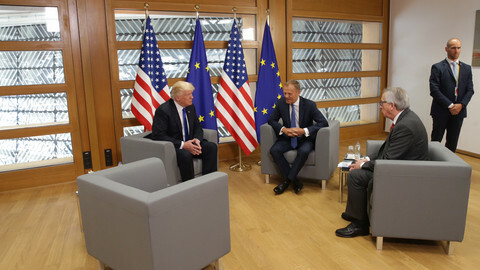 During the meeting, the EU and US leaders said they supported the idea of a working group on "difficult" trade issues. They also said they would work with other countries on unfair trade practices. 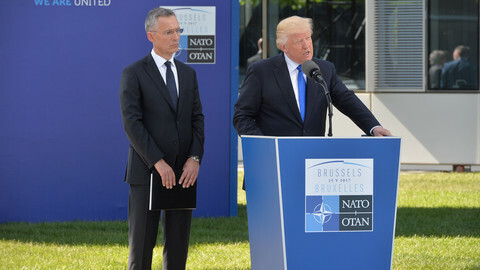 Three days after the Manchester terrorist attack, Trump and the top EU officials agreed to step up the fight against the Islamic State (IS) jihadist group. 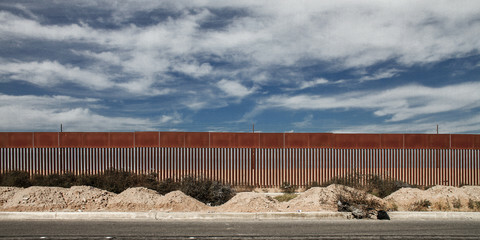 The issue is also high on the agenda of a Nato summit in Brussels on later the same day. 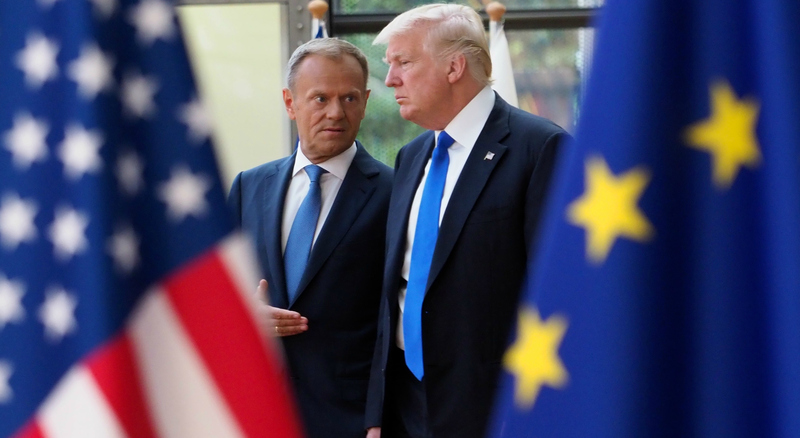 On Russia, an issue where Trump's alleged Russian links raised concerns about his commitment to EU and US sanctions, Tusk said that he was "not 100 percent sure" that he shared "a common opinion" with the US president. He said that on Ukraine, where the EU has tied sanctions to Russia’s compliance with the so called Minsk ceasefire pact, Tusk said "it seems that we were on the same line". 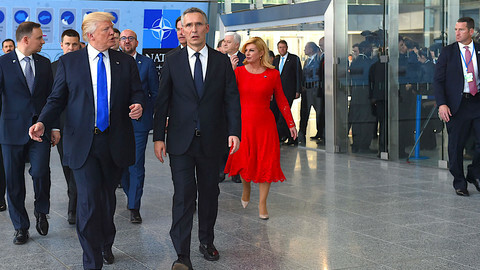 Trump's visit to the EU institutions was expected to end badly after he had said that Brexit was a “great thing” and issued other anti-EU jibes. According to sources, Trump instead expressed his concern that jobs in the US would be lost because of Brexit. Trump, who is said to have little interest in detailed policy files, also got a glimpse of EU humour during a public handshake with Tusk and Juncker. 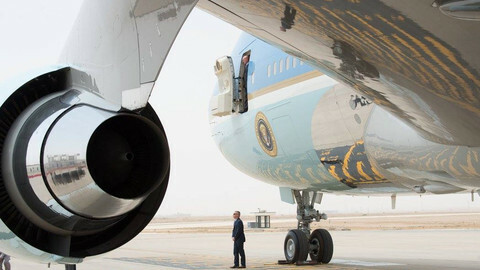 "There are two presidents in the EU," Tusk told him while they were being photographed. "He's the one too much," Juncker added, pointing at Tusk. The White House said it would take more time to decide if the US should remain part of the Paris climate agreement, while talks are underway in Bonn.